On April 18/19 I rode the BRM418 Fuji Omawari (“Fuji Big Loop”) 400 km brevet by AJ NishiTokyo. It was part of my quest to complete 200-300-400-600 km brevets in one year for the Super Randonneur title. Those four are also needed to qualify for Paris-Brest-Paris this August, which I’m not seriously planning for. The course had a 27 hour time limit, from 07:00 on Saturday to 10:00 on Sunday. The total elevation gain of the course is about 3700 m over an official distance of 402.4 km. There were five check points (PC1-5, point de contrôle), all of them convenience stores from which we needed to get receipts, plus one quiz check point halfway to PC1. As for most AJ NishiTokyo events the start and finish were at the Cherubim bike shop in Machida. From there the course heads out via Doshi michi (Rt413) to Yamanako (Lake Yamanaka), past Motosuko (Lake Motosu) to Minami Alps city, then down to the coast, across Izu to Ito, Atami, Odawara and back to Machida. Though it might look like most of the climbing was in the first quarter because of the highest elevation there, there is more total elevation gain yet to come after the big descent from the Fuji five lake area. I had tried this event last year but around the half-way point started to fade badly from lack of sleep . There was no way I could make the remaining control closing times. Even after sleeping some time I decided not to cycle all the way back but to take the train from Odawara station, so I didn’t even do the full distance. 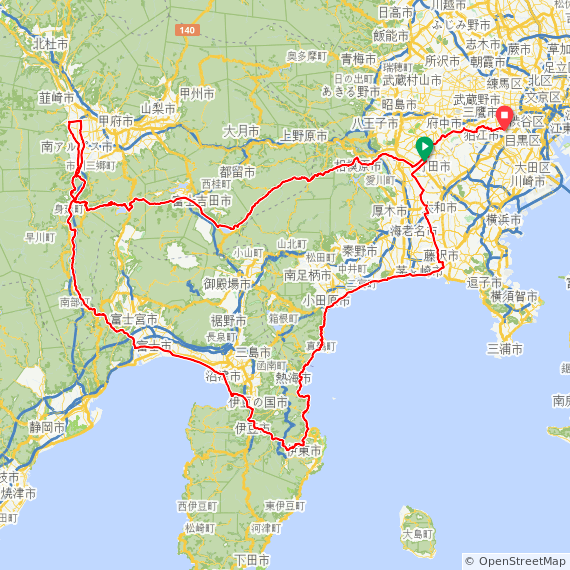 I also rode the complete course as a personal ride without time limit two weeks before the event, Tokyo to Tokyo (460+ km total). This gave me a better feel for the course, for how my body would react and what clothes would be appropriate this season. And it worked! Saturday morning started out sunny, but I had packed my rain gear in case of rain on Sunday and as an extra layer if it got too cold at night. I never needed it during the ride: A wind breaker was enough for the cold and it didn’t start drizzling until Sunday afternoon. On the way to the start I bought some bananas for breakfast. At the briefing we were told about some course changes in the latest version of the cue sheet, then a safety check and we were off. I think I was the only one at the start without leg warmers. Doshi michi has a lot of ups and downs before it reaches the 1114 m pass before Yamanakako, so you actually climb something like 1700 m up to that point and we also faced head winds. I think I was passed by almost all participants by the time I reached the lake. Unlike at the ride two weeks earlier Fuji was visible this time. I was wearing my shorts and no wind breaker. For that it was chilly, especially at Motosuko which was covered in low clouds with only 7 degrees C according to a road side display. 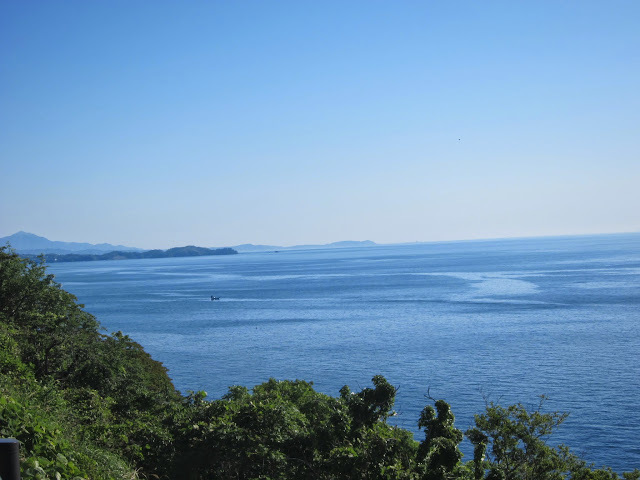 The coldest point of the ride was not before sunrise in Izu but at noon at Motosuko. Due to the amount of climbing I was running about 20 minutes behind the minimum average speed for PC closing times by then. Not coincidentally though, PC1 had been placed after a long fast descent at much lower elevation, so we could make up a lot of lost time. It was extremely windy on the steep Rt300 descent the other side of the Motosuko tunnel, but temperatures also got much milder again. I made it to PC1 (a Seven 11 at 125 km) 20 minutes before closing time, then on to PC2 (a Lawson) in Minami Alps at 152 km, also with only 20 minutes spare. After PC2 came a long downhill stretch, which was great for recovery. The Yamanashi side of Mt Fuji staid in full view for a long time. As the sun set we joined Rt52 towards the coast, a fast flat road with a fair amount of traffic. I passed a few other cyclists before we got to the hilly section leading to PC3 (a Circle K at Shibakawa, 217 km). This is where it started to get difficult last year, but not this time: After riding this section in the rain after midnight two weeks earlier, it felt downright comfortable in evening hours in the dry. I was wondering where I would get really sleepy. I didn’t think I was so well prepared after that hotel stay, but my pace didn’t drop. At the Ministop that served as PC4 in Izu (km 275) I found myself an hour ahead of closing time. Several others took a nap at the conbini. I was too excited to nap and had a cup of coffee instead. In the dark on the pass over to the east coast of Izu I startled a small deer and later some racoon-like animal, but nothing scary. Near Atami I stopped for my third cup of coffee at a conbini as I was feeling sleepy, when an accident happened outside. A group of Randonneurs who were part of a different event had passed and one of them had his front wheel caught in a gap in a sewer grate. He had landed head first on the road, cracked his helmet and probably broke his nose. When I got there he was lying flat on his back on the side walk, with a handkerchief covering his face, not moving but conscious. There was blood on the road. His friends had called an ambulance which soon arrived. The other cyclists then asked us to continue. That situation kind of woke me up again. Ours is a dangerous sport indeed! Drafting in a group does have aerodynamic benefits, but only the lead man gets an unobstructed view of the road ahead. I made it to the last big climb before Odawara as the sun came up and knew I was looking good on time. There were several other randonneurs that I kept seeing as we stopped at different times but were basically at a similar pace. At PC5 (366 km) I knew I could make it to Machida even if I only averaged 15 km/h, with only 36 km and no real hills to go in light Sunday morning traffic. “You’re riding 400 km on THAT?” asked a female cyclist, pointing at my Bike Friday as I was having milk tea and sandwiches outside the last conbini. The people who see me regularly at AJ NishiTokyo events are no longer surprised that I do these long distance rides on a road bike with small wheels that happens to fold, but many others still find it hard to believe you don’t have to pedal more. Thankfully somebody back in the 1880s invented something called the “safety bicycle” with gears and a chain, a novel design that broke the 1 pedal revolution = 1 wheel revolution link of the “ordinary bicycle” that had preceded it. So I can assure them that on a 400 km ride I don’t need to pedal any more than somebody riding the same event on a 700C bike and the relative position of the contact points (seat, pedals, handle bar) is the same too. 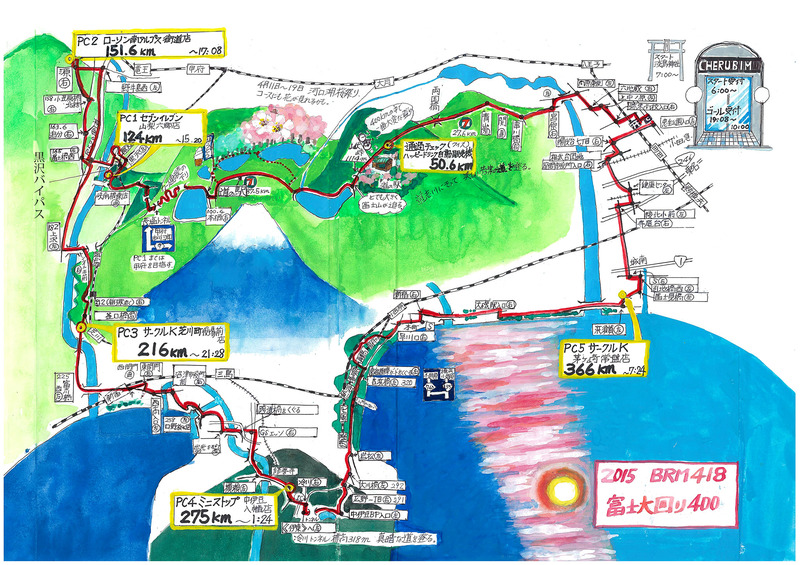 My next brevet will be BRM530 to Suwako (Lake Suwa in Nagano) and back, a 600 km ride. Going without sleep for its entire 40 hour time limit won’t be an option there, but I’ll try to prepare well. I’ve cycled most of the route in 2013 and 2014 already. 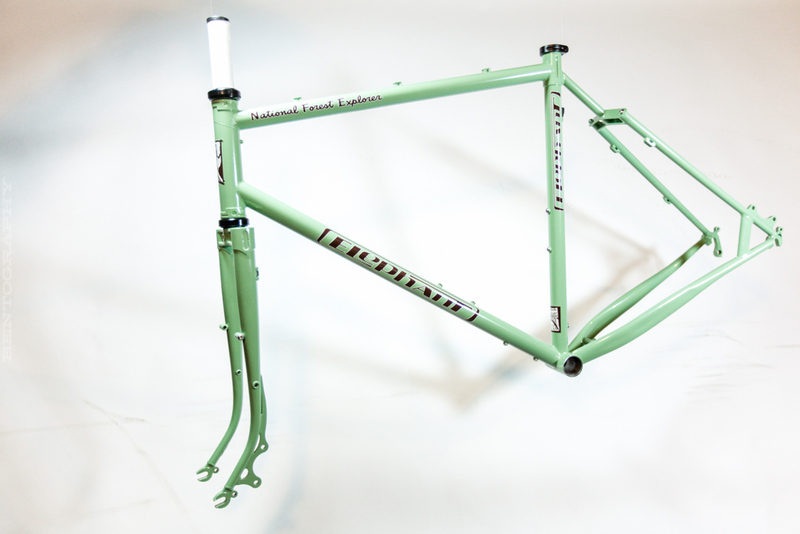 A couple of days before the brevet I ordered N+1, an Elephant Bikes NFE frame set. It’s basically a low trail geometry randonneur bike with disc brakes. Production will start next month and I should receive it in August. So this autumn I’ll probably be doing the “Kintaro” (Ashigara) and “Shiokatsuo” (West Izu) 200 km brevets on new 650B wheels with a dynamo hub and discs that Tim (GS Astuto) will be building for the new green bike.